Please join us!! 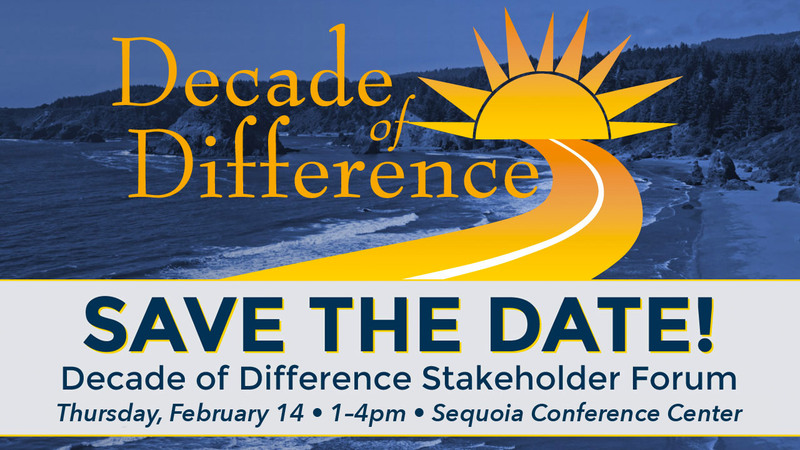 The Decade of Difference officially sunsets in 2020 and we need your input! We want to share progress towards goals, highlight experiences of students and the community engaging in various aspects of the Initiative, as well as collectively identify your priorities for moving forward. It is important to have your perspectives and we hope you can attend.